Incumbent Rep. Shelley Kloba is the best of three candidates for House District 1, Position 2. 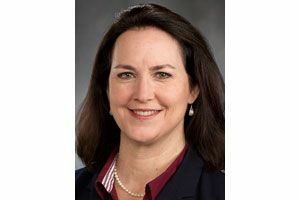 State Rep. Shelley Kloba, D-Kirkland, is the most qualified of the three candidates running for her seat, Position 2, in the 1st Legislative District. The former Kirkland City Council member brings an informed perspective of state government effects on local government and understands the importance of resolving Interstate 405’s remaining challenges in the district. Kloba also wants to provide relief for taxpayers surprised by Sound Transit 3 motor-vehicle taxes based on too-high valuations. Her experience working with Washington State PTA makes her especially knowledgeable about education reform and the challenges still facing the state and districts. Strengths: The former Kirkland City Council member brings an informed perspective of state government effects on local government and understands the importance of resolving Interstate 405’s remaining challenges in the district. A common knock on Kloba is that she is an extremely reliable vote for partisan Democratic leadership — and in an interview could not name one area where she disagreed with party leaders. She joined most of her colleagues in the misguided vote to exempt the Legislature from the Public Records Act, going along also with a rushed process with no meaningful hearing or debate. Under pressure, Gov. Jay Inslee vetoed that bill, and a task force is supposed to make recommendations on how to proceed. Republican challenger Debra Blodgett of Clearview is a former business owner who is active in her community and chair of the Snohomish County Republican Party. She is sincere but does not make a persuasive argument to replace Kloba. Bothell Libertarian Matt Seymour, while thoughtful, does not have much of a civic record. Incumbent Kloba is the best candidate for Position 2. Editorial board members are editorial page editor Kate Riley, Frank A. Blethen, Donna Gordon Blankinship, Brier Dudley, Mark Higgins, Melissa Santos and William K. Blethen (emeritus).